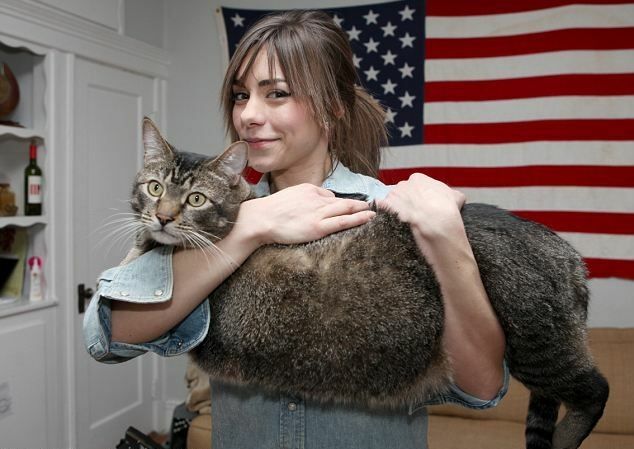 The largest cat in the world is Pickles, weighs 9.5 kilograms and is the size of ordinary dog. Although more like a tiger, the cat was taken off the streets and adopted by a couple who loves him. The animal was adopted by Andrew and Emily Zarvos Milicia from the US city of Boston. Almost a meter long and weighing nearly 10 kilograms cat has not found a merciful lord, to take him home, so haunting the streets, looking for food in the garbage. Fortunately, feline, nicknamed Catasaurux Rex, found a quiet place to live, after the couple Boston has seen the campaign initiated by a foundation for her adoption, writes British newspaper Daily Mail. The young people who have adopted Pickles did not have any intention to take him home. They went to see it just of curiosity. 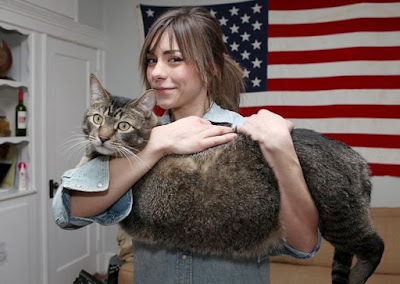 The couple who adopted the enormous cat has been selected from a group of 50 people who have expressed their desire to take the cat home.